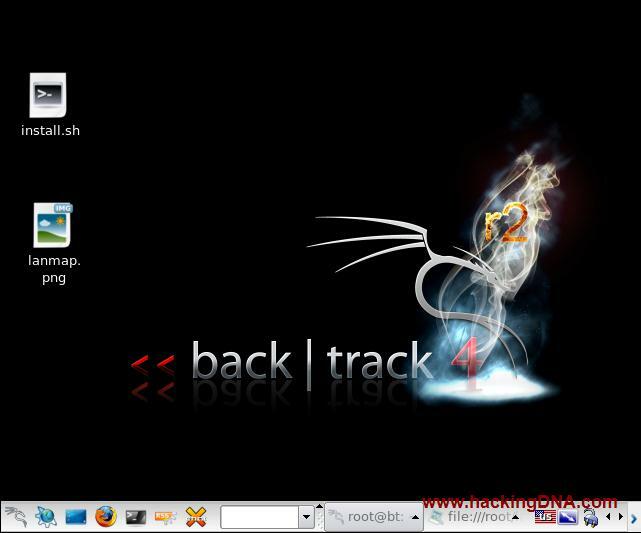 There are so many tools that are not in backtrack 5 , so we decided to cover backtrack 4 tools also . 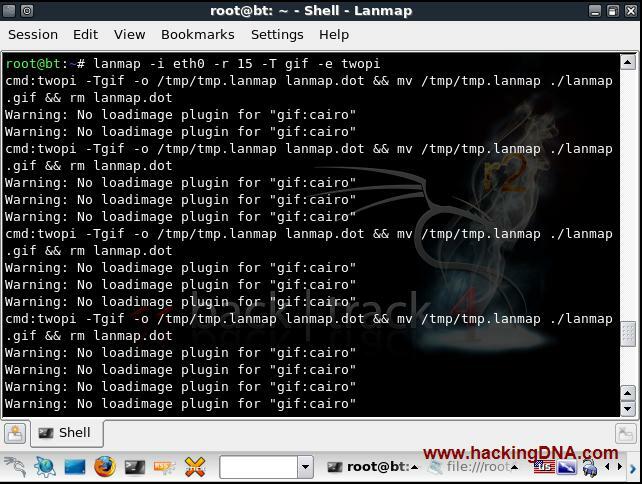 This is our first tutorial from backtrack 4 . Those who miss there backtrack 4 , time to do some stuffs with backtrack 4 . Keep following hackingDNA.com and no need to forget backtrack 4 . 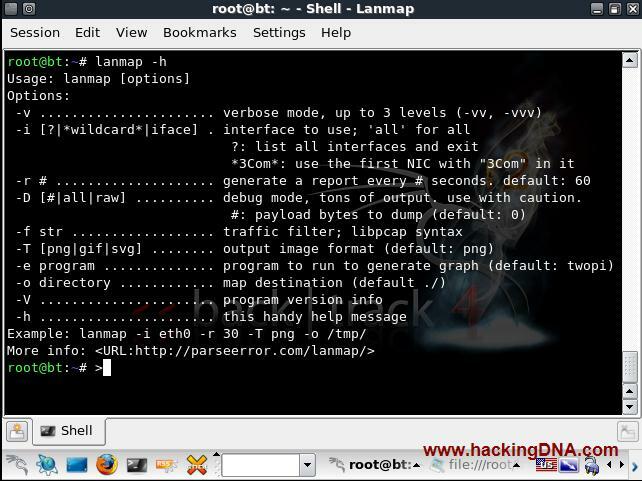 Lanmap is a passive listening tool for the activities going on the network . Network can be LAN , WAN . 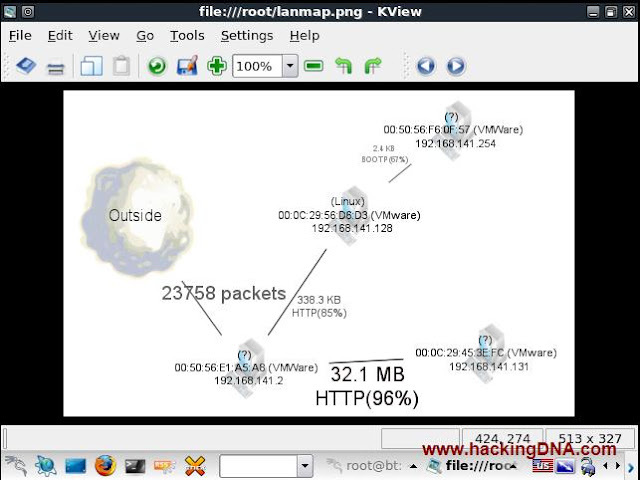 This tool creates a image of all the network . To use this option simply enter the command : lanmap -h and press enter . After start listening on the network , generate some activities like ping any target , open websites . Here is the output shown in the below image . IF YOU HAVE 1 DOLLAR EVEN I ALSO HAVE 1 DOLLAR AND IF WE EXCHANGE THE DOLLAR THEN WE BOTH HAVE 1 - 1 DOLLAR EACH . BUT IF YOU HAVE BETTER IDEA EVEN I ALSO HAVE SOME DIFFERENT IDEA AND IF WE EXCHANGE OUR IDEAS THEN GUYS WE BOTH HAVE TWO DIFFERENT IDEAS .